Skip Hire in Nottingham, Derby, Lougbrough, Fastest Rubbish Removal Service. Try Our Amazing Service Nottingham And Derby Skip Hire Alternative In Your Area Today. ...the only Simple Alternative to skip hire! The modern day Rubbish removal service, making Rubbish removal house clearance easy. 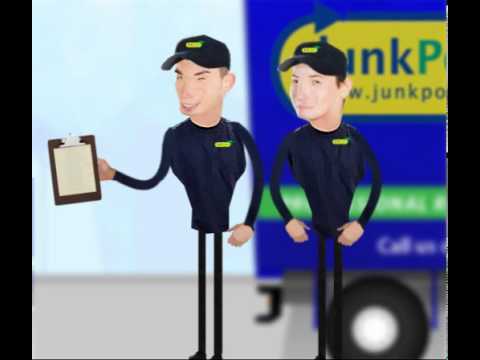 Junkporters promote recycling and rubbish collection service via their two-man truck teams. The modern green waste disposal service, an alternative to skip hire and house clearance service in Nottingham and derby. We'll remove almost anything from your old kitchen sink too bulky furniture and appliances. Plus, we do all the lifting and carrying, wherever the items are. We'll remove pretty much anything, except Cute Puppies, Kittens, Jumbo Jets or hazadouse waste. With no hidden costs and up front price list you can ensure a quality service. Become Raving Fans Of Our Service! Nottingham skip hire Alternative in your local area. Our service covers the clearance, loading and disposal of all types of waste from anywhere, on your premises. This includes many items that your local skip hire firms won't allow you to put in their skips (e.g. Fridges, TVs and even gas bottles). Do you have any old Furniture or rubbish that needs taking away ? Well, you've come to the right place Rubbish removal, Nottingham house clearance, office clearance and garden clearance! We do all this and more. Cheaper and less hassle than a Nottingham skip hire companies. Sweeping up before we leave!